Designed to meet the expectations of any martial artist, this 7.25 oz. 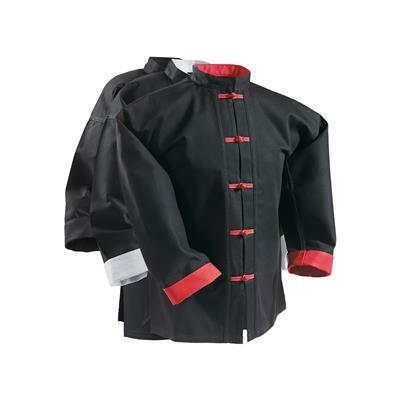 cotton-polyester top features rollback cuffs, frog buttons, a mandarin collar, and side vents for breathability. Imported. I was worried that this would be a cheaply made item. I was relieved to find out differently. This is a nice item with a deeply rich black color. It came nicely packaged and the shirt was pressed and ready to be worn. The material was decently thick and relatively rigid, though that is a good thing to me. 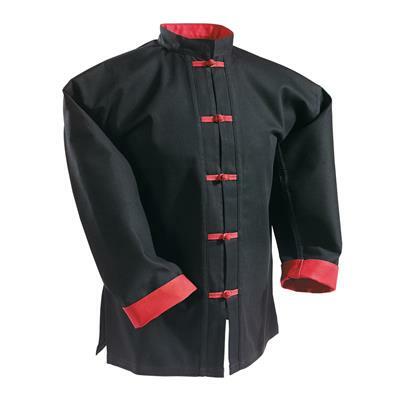 I have an athletic muscular build though and the upper part was a bit tight, while the waist is fairly loose. I can still wear it however. I am very satisfied with this. 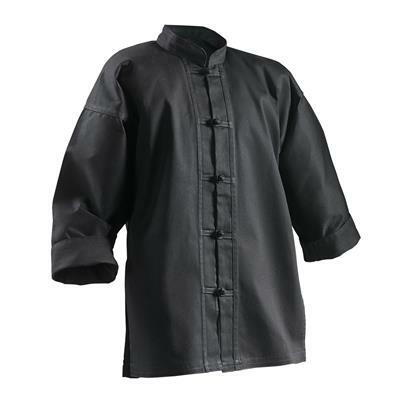 Very nice Kung-Fu gi top that is Really good quality & well made. The size is gives plenty of room & really comfortable during a good workout. Highly recommend. i am so happy with this top!!!!! 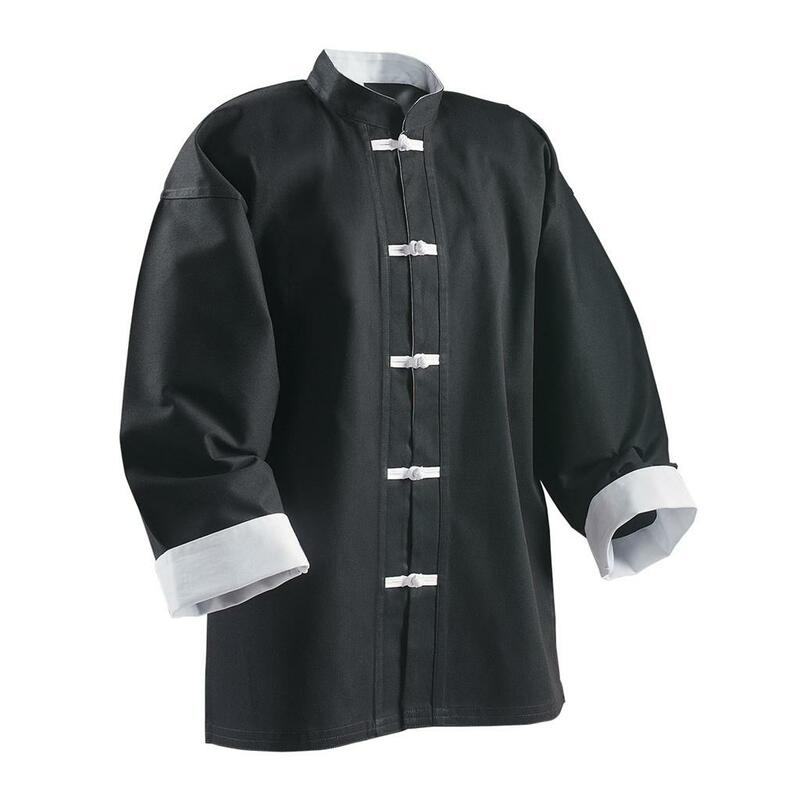 i have been doing kung-fu 28 years this is the best top i have ever had!! !